If you’ve been by the Museum’s offices in the past few weeks, you might have seen me crouched over a laptop in a corner with headphones like two giant beetles over my ears. Why, you ask? I’ve been sorting through audio files from the DMA’s extensive catalog of lectures and interviews. Many of these audio files come from gallery talks and docent training sessions led by DMA staff members and guest lecturers. The experience has been illuminating. Every speaker brings thoughtful, entertaining, and challenging new ways to look at the art. So this week, I thought I might share a few of my favorite audio files which will be appearing in the new teaching resources this fall. This first file comes from our very own Shannon Karol. 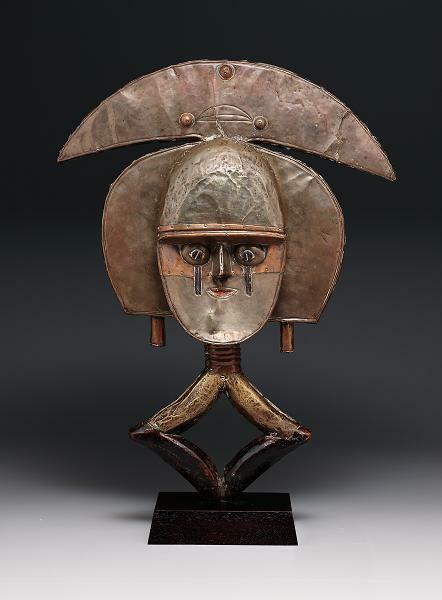 In this file, extracted from her talk In Praise and Thanksgiving, she discusses the Janus reliquary guardian figure from the Kota peoples of Gabon (pictured below). Janus reliquary guardian figure, late 19th or early 20th century, Dallas Museum of Art, The Eugene and Margaret McDermott Art Fund, Inc.
During the lecture Heaven on Earth: Hindu Temples and Their Sculptures, Darielle Mason describes the origins of the Hindu temple. 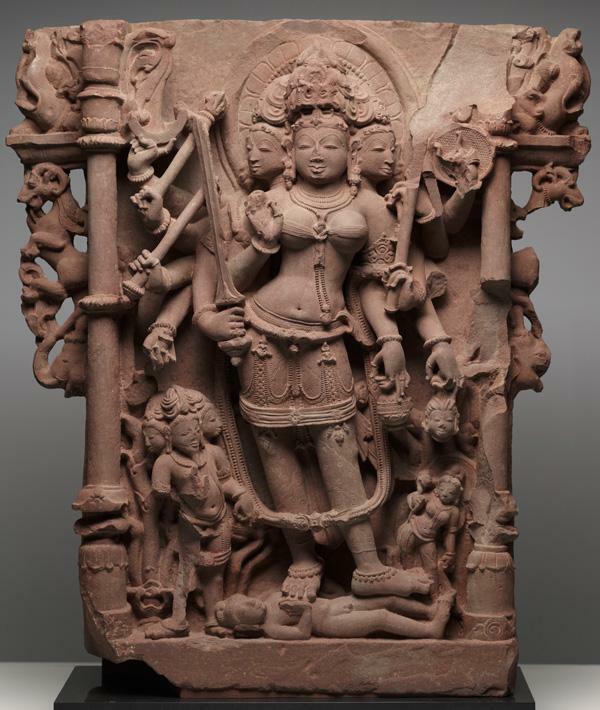 Below is an image of the Hindu goddess Durga from our collection. Finally, this audio file, extracted from a conversation between DMA curator Roslyn Walker and Phillip Collins, gives a brief biography of the artist John Biggers, and included a story about Biggers’ history with the DMA. 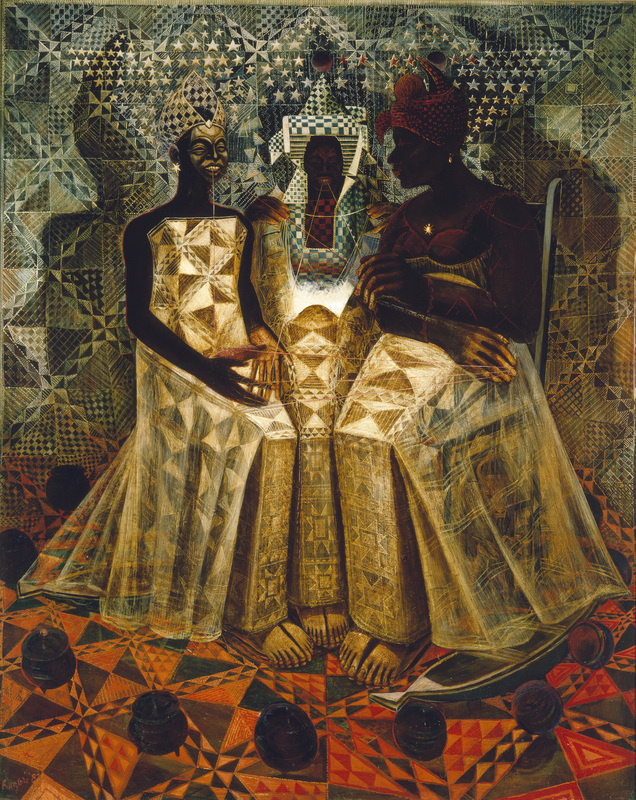 Below is John Biggers’ painting Starry Crown. All of the works in this post will be featured in the new teaching materials, and these are only a few of the many audio files that will be available for streaming. You will also find video files, contextual images, maps, and other media when the materials debut this fall. Stay tuned to the Educators Blog for the official announcement of the materials’ debut.